Learn more about how helicopters can benefit utility construction and maintenance in Massachusetts. 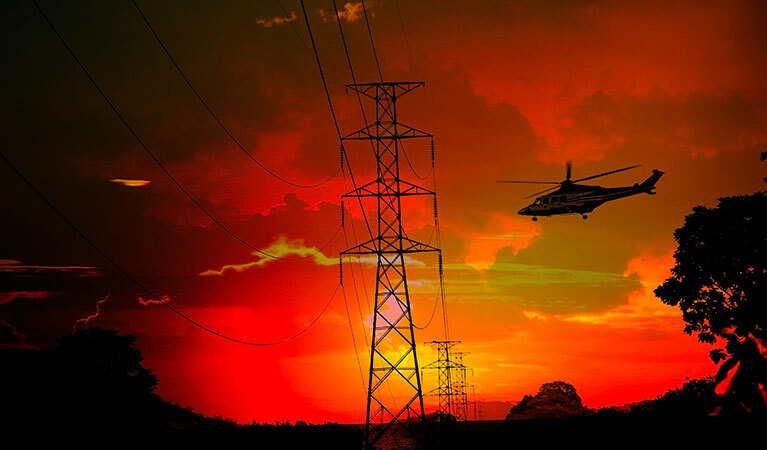 Helicopters can help with a wide range of tasks, including constructing transmission towers and stringing power lines. These machines help out the process, making it easier and can perform the work in less time. FairLifts can help you with Massachusetts transmission line construction. FairLifts only partners with the best, most certified pilots and crew to help you with any job you need. 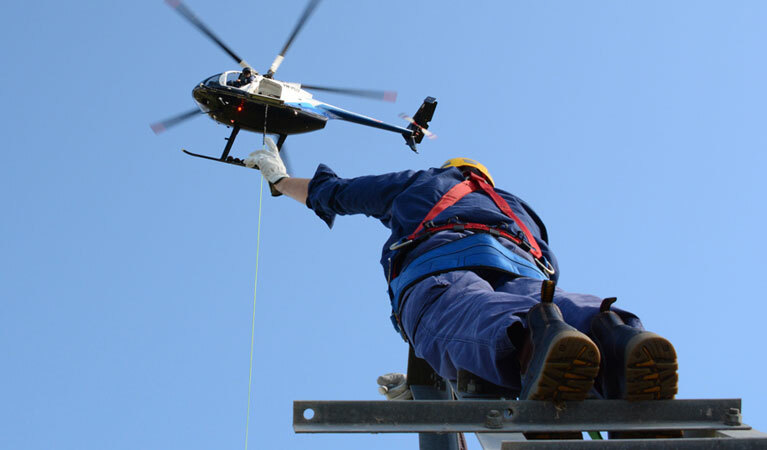 A variety of helicopter transmission line construction services are available, including: constructing towers, stringing wire, installing utility poles, site inspections, and logistical transportation. Utility companies in Massachusetts: We can help you today. Because of the wide variety of terrain found in Massachusetts, certain jobs pose challenges. Massachusetts transmission line construction is no different. Instead of opting to go for time consuming, manually intensive, construction from the ground, consider aerial assistance. Helicopters can make many of the tasks associated with this type of work easier. While the eastern region of Massachusetts is flat, there are many hills, and bodies of water—including small lakes, streams, and rivers. Not to mention, the Appalachian Mountains are in the far western portion of the state, stretching into neighboring states. No project is too big or too small and we're ready to work for you. It is no surprise there is heavy lifting when it comes to Massachusetts transmission line construction. Anytime you have materials such as cement and steel in the mix, heavy lifting will be involved. 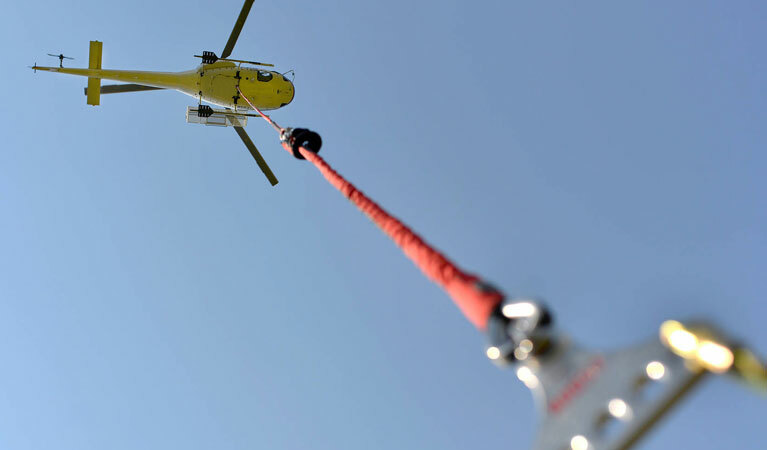 Due to a helicopter’s incredible strength, it can perform heavy lifting. There is no need for manual labor. An experience utility pilot can help string wire. This is done with precision—an object resembling a stick can weave wire in no time. Helicopters crews can string hundreds of miles of wire in just a matter of days. Helicopters take away the burden of installing utility poles. This becomes useful in environmentally difficult locations that may face difficulties such as mountains or bodies of water. A helicopter crew can be vital in Massachusetts transmission line construction, including taking some of the heavy lifting out of installing utility poles. Before helicopters were used, a ground crew had to inspect where lines were going to be laid. This time-consuming service could take days, even weeks. Helicopters can travel at low altitudes to inspect potential work zones. Helicopters provide an aerial view that may be better than a ground inspection. A helicopter can help with tower installation in difficult to reach regions. Rough terrain is not a problem for a helicopter. In addition, a helicopter does not need a runway to land, making them ideal for any location. Experts are standing by to get you a fast quote for your transmission line job in Massachusetts! FairLifts is available 24/7 to answer any of your questions. We arrange Massachusetts transmission line construction throughout the entire state. Speak with us today and explore your options. No job is too small or too big for our associated helicopter and helicopter pilots.